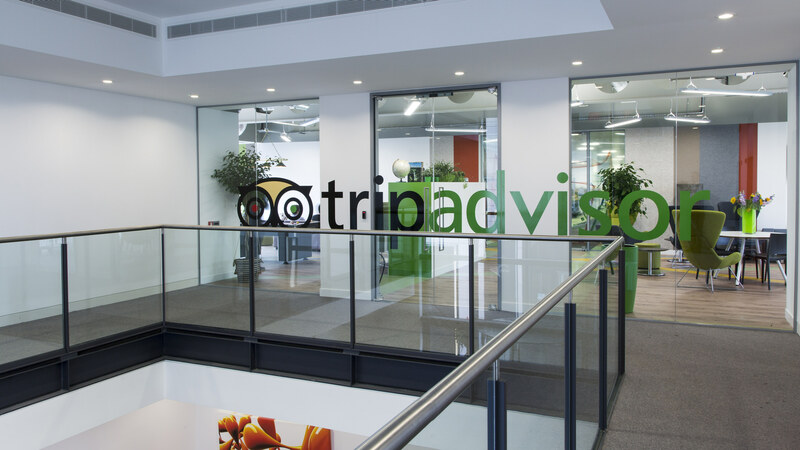 TripAdvisor required more space for their growing new venture – TripAdvisor for Business. 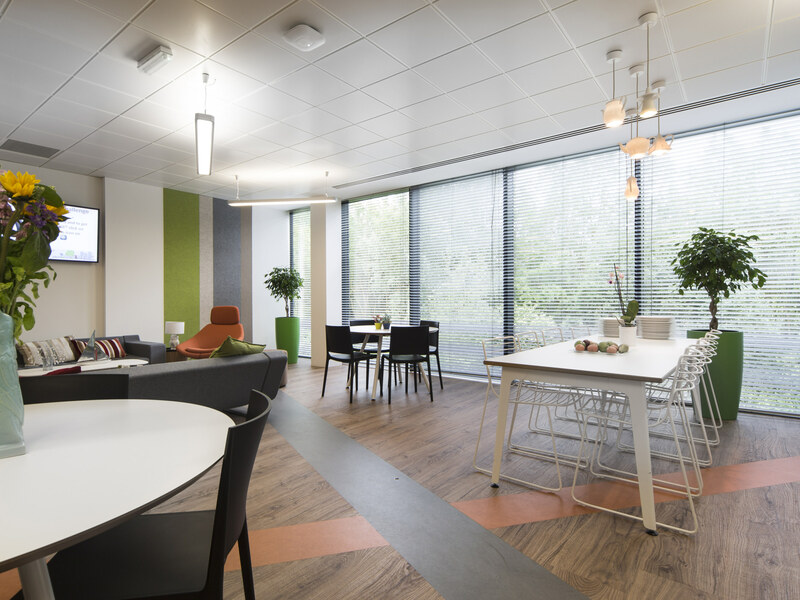 Fletcher House, located in Oxford Science Park was the perfect location and also home to their partner Holiday Lettings in Hinshelwood House. 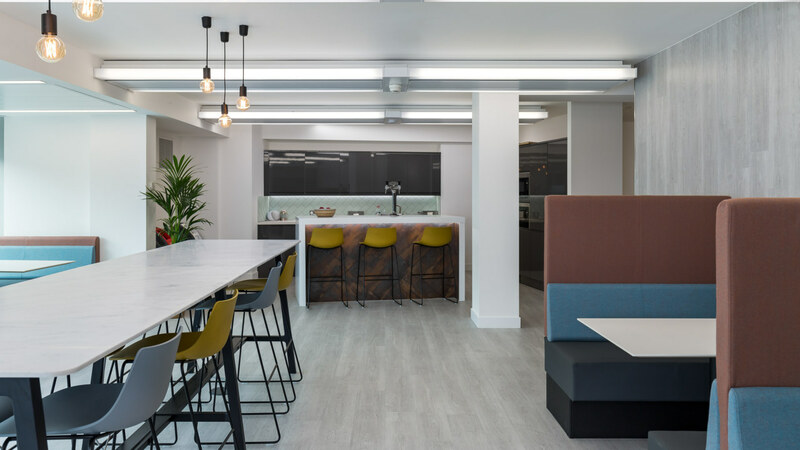 The new 15,000 sq ft office for TripAdvisor’s customer service team was initially designed by IA Architecture following a high-level brief. We developed and detailed the design brief with the internal steering team and TripAdvisor’s external project manager. Branding was key to the development of the design. 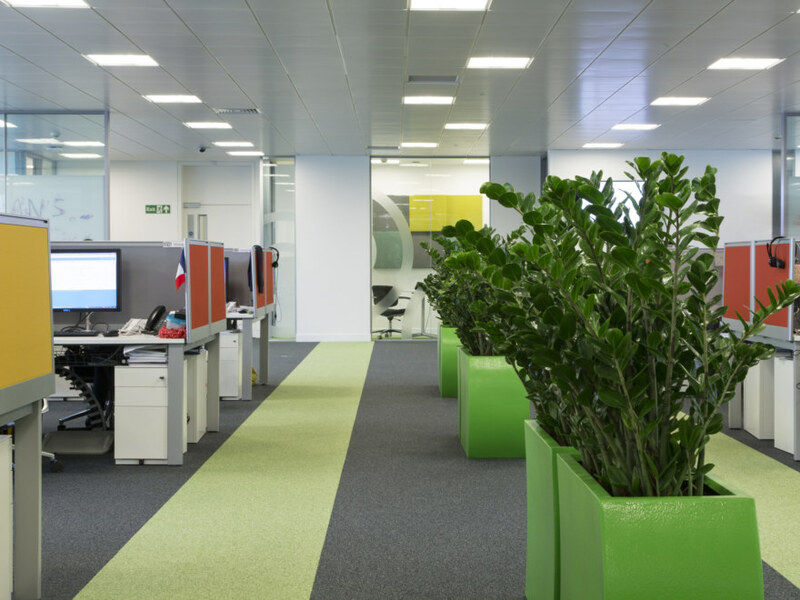 We applied branding within the main atrium area and used the TripAdvisor colour palette throughout the space. 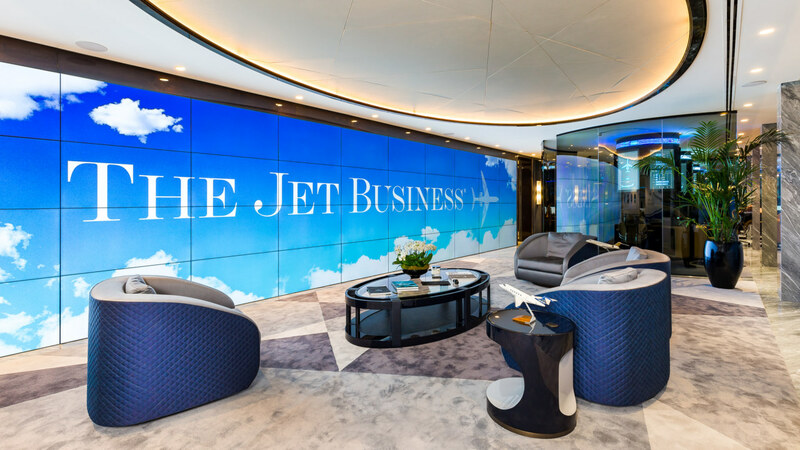 This fun and colourful scheme also relied on graphics and imagery directly related to travel, enhancing meeting rooms and breakout areas. 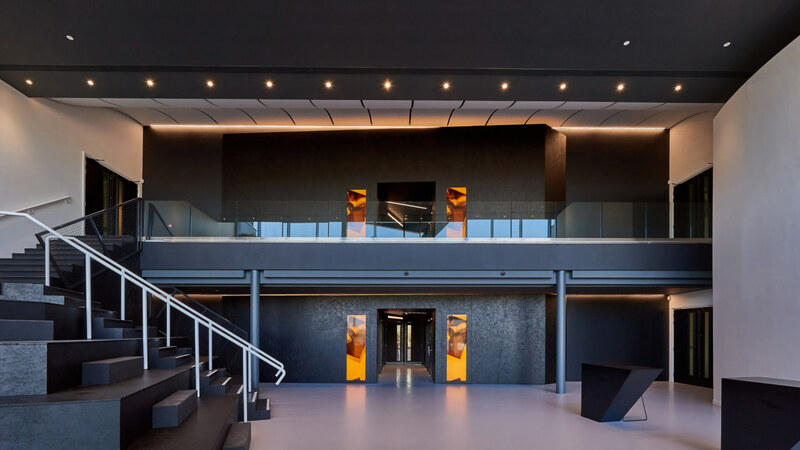 This Cat A and Cat B fit out included internal and external meeting rooms, quiet pods, a large breakout area, games room and large comms room. 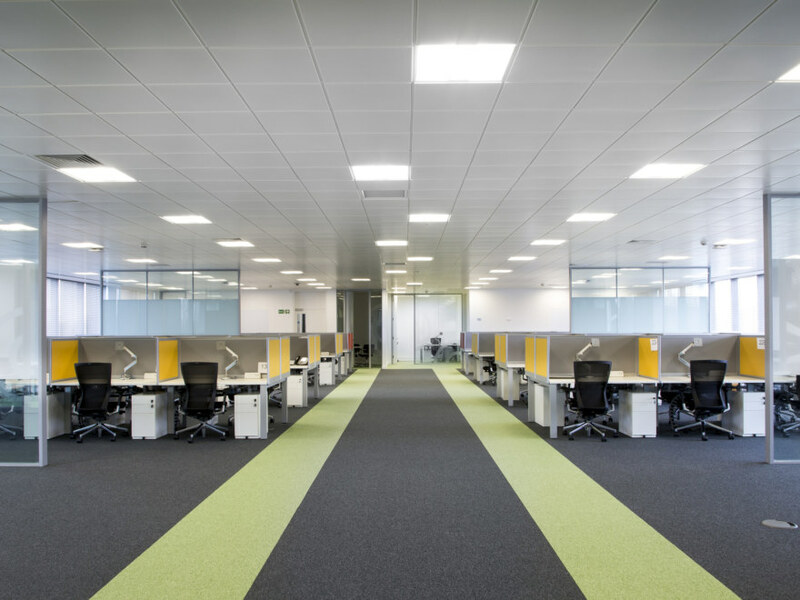 The breakout spaces and quiet rooms were extremely important to staff, needing somewhere completely different to their call centre-style desking. Semi-transparent glass partitions were covered with X-ray images of suitcases within the travelling theme.